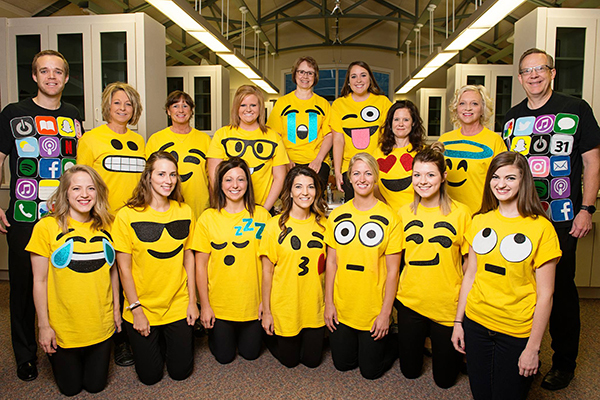 Some patients guessed pineapples, minions, or pikachu, but we were EMOJIS! And iPhones of course! We love making our families smile with our costumes every year. These tees were handmade by a member of our team!